Lanyrd, a platform for discovering upcoming conferences tied to the technology industry, is launching a speaker directory and refreshed user profiles to help event organisers find their next batch of onstage presenters and interviewees. The database holds information on over 70,000 speakers spanning multiple topics such as startups, social media and Web development. Users can browse quickly by a specific topic, or quickly jump to a speaker’s profile from a selection of popular talking points. Clicking the link for a particular topic brings up a page of expanded speaker profiles. Images and bios are tied to the presenter’s Twitter account, but Lanyrd takes care of all the rest; areas of expertise are clearly listed and there are sections detailing their experience as a speaker and associated materials. It’s a pretty extensive way for event organizers to quickly evaluate who might be suitable for their next technology conference. 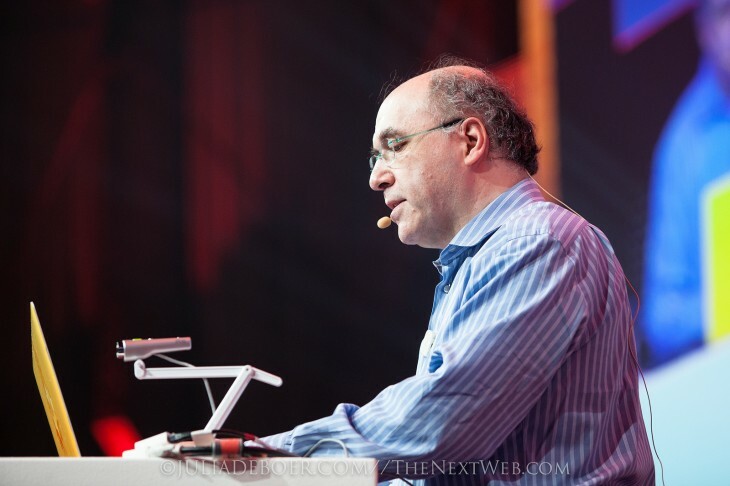 The page even lists the next event that they’ll be speaking at, solving the back-and-forth that often arises from checking presenters’ availability. For anyone who wants to quickly gain some exposure and pick up new speaking gigs, Lanyrd is also targeting its latest feature at the industry’s growing number of reputable speakers. Some will find that they already have a profile – it will have been created by Lanyrd automatically if they’ve already spoken at a listed event – or they can create their own from scratch. The usual profile editing options are also available, positioning the platform as a digital business card of sorts for those that use technology conferences as a regular source of income. User profile pages have also been redesigned with flag links and a couple of other visual flourishes. 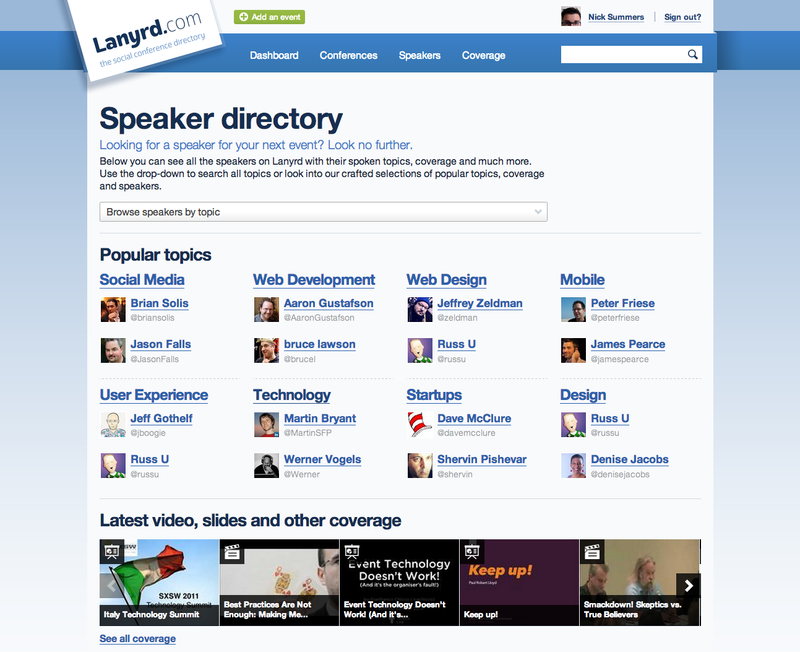 Lanyrd’s speaker directory follows the introduction of Lanyrd Pro, a paid-for offering that gives companies the ability to set up branded conference portal pages on the site.